RANGELEY – The Rangeley Lakes Heritage Trust is offering two outdoor skills-based courses this summer that will bolster any outdoor enthusiast's tool belt. 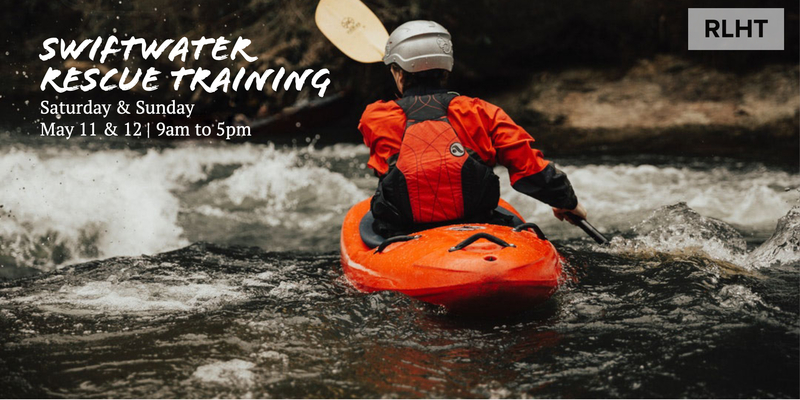 A Swiftwater Rescue Training will be offered the weekend of May 11 in partnership with Northeast Whitewater. Participants will learn techniques for helping people in distress, learn to recognize and avoid common river hazards along with self-rescue techniques through land and water scenarios. Upon successful completion participants will receive an American Canoe Association card that states the level of training completed. A Wilderness First Aid and CPR course will be offered the weekend of June 22. This 16-hour course focuses on general medical concepts and basic life support skills one needs in an emergency. This course is perfectly suited for outdoor enthusiasts and seasonal outdoor staff and will prepare you with the medical skills you may need in the front- or backcountry. The course will be taught by a SOLO instructor and upon successful completion participants will receive a SOLO WFA certification card that is valid for two years. “Accidents happen when we least expect it. Learn what to do when people get sick, hurt or lost. We flip canoes and kayaks and living, working and playing in Maine require us to be prepared,” said Program Manager Amanda Laliberte. "We want to make sure our community has the knowledge and skills in case of an emergency." To learn more about either course, interested participants can visit rlht.org, email alaliberte@rlht.org or call 864-7311.